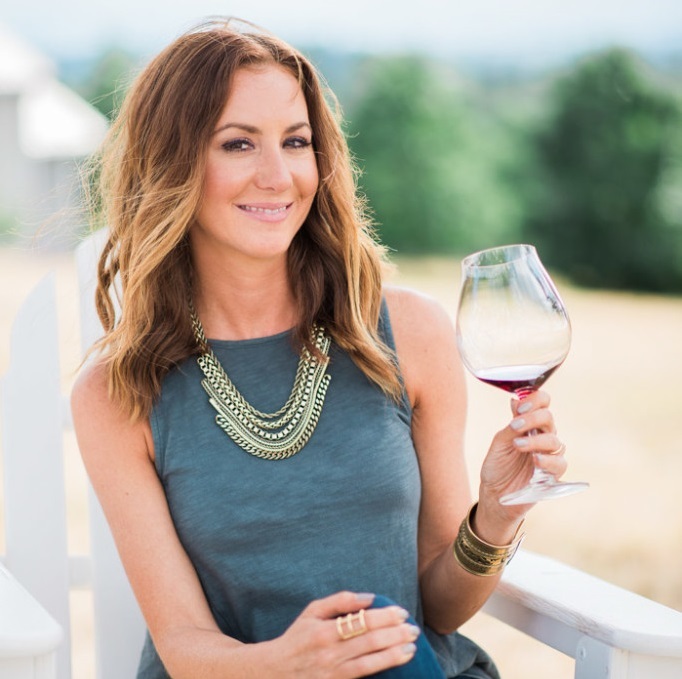 Disclosure: I teamed up with WillaKenzie Estate to bring you this post. As always, all opinions are my own. Chicken Marsala is a traditional Italian dish that’s simple to prepare and amazingly delicious! 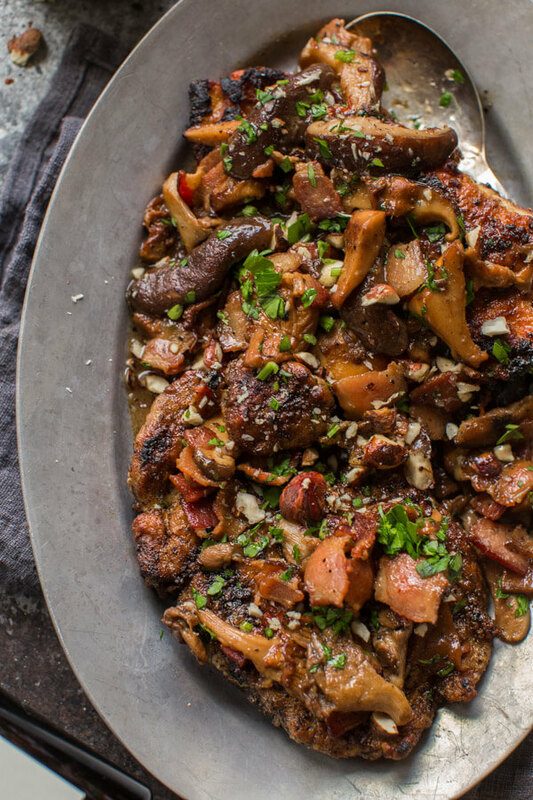 Most likely originated from Sicily, where Marsala wine is made, this dish has a creamy sauce that’s got a hint of sweetness from the marsala, a smoky-richness from the bacon, and lots of umami-goodness from the wild mushrooms. All this decadence can be yours in just 30-minutes! I foraged my local grocery store and found these beautiful mushrooms – Chanterelles, Oyster Mushrooms and Shitakes. We’re in the peak of mushroom season here in Oregon and there really were some beauties. 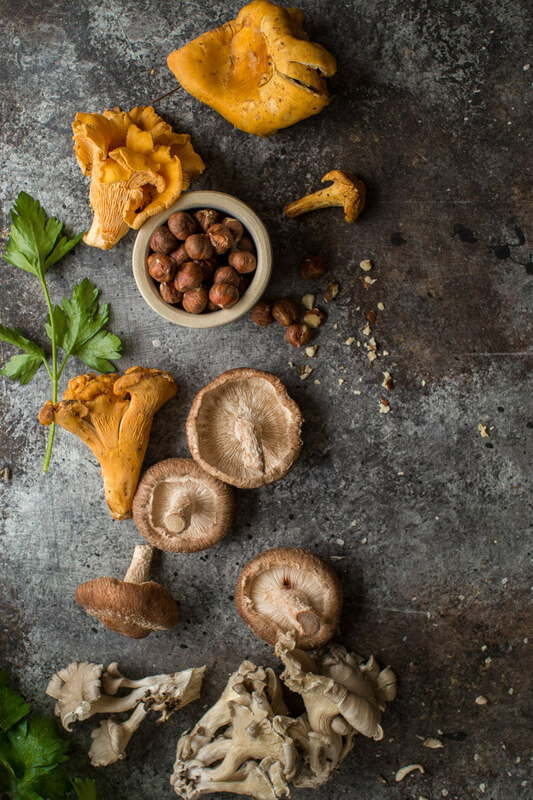 Of course, feel free to swap them out for whatever mushrooms you have readily available to you – Crimini Mushrooms, Portobellos, or standard Button Mushrooms would all be fantastic too. Because the chicken is pounded thin, it cooks extremely fast. Create thin cutlets by cutting a chicken breast in half, horizontally, and then pounding each half thin using a meat mallet. Don’t be intimidated here. Just place your chicken between two sheets of plastic wrap and flatten the breasts out to about 1/4 inch-thickness. Then comes the flour dredging. This is what helps get those chicken cutlets nice and golden and a bit crispy on the outside. To “dredge,” pour the flour into a shallow dish and dip each chicken breast into the flour, shaking off any excess flour and gently coating each of them in the mixture. Fry those chicken cutlets up until they’re golden brown and then tent them under some foil to keep them warm while you prepare the marsala sauce. It all starts with the bacon. I let it sizzle away in the same skillet that we used for the chicken, just for a couple minutes until it releases some of its fat, then I throw in the mushrooms and let them get nice a golden brown. 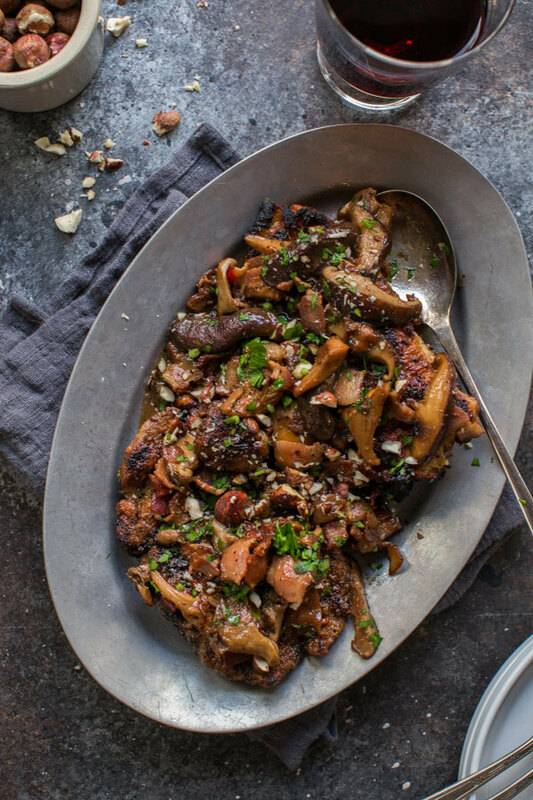 Be sure not to salt the mushrooms until the end, otherwise, they won’t turn that beautiful golden brown color. Then we add in the marsala, a bit of chicken stock, and a couple pats of butter for good measure. Swirl it all around and then add the chicken back to the pan, spooning the sauce over the top. 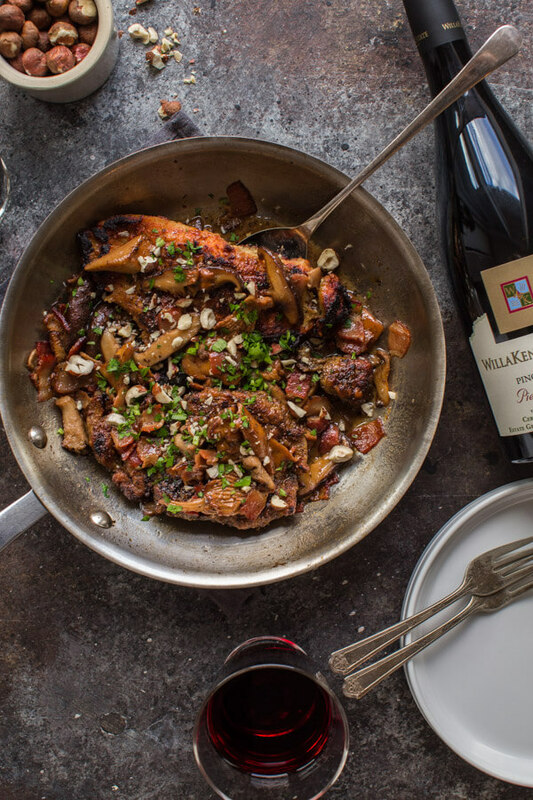 Since we had so many gorgeous wild Oregon mushrooms in our marsala tonight, I was inspired to throw in another Oregon specialty ingredient – Hazelnuts. I chopped them up and sprinkled them over the top along with some fresh parsley for that special finishing touch. I tend to serve this easy Chicken Marsala up with some rice that I cook up in my Instant Pot. It’s also great served alongside some buttered egg noodles or mashed potatoes. On the side, I’ll either serve some roasted brussels sprouts or this fennel & celery salad. But, the most important accompaniment (as always) is the wine! I had the perfect bottle in mind, and of course… It’s from Oregon! 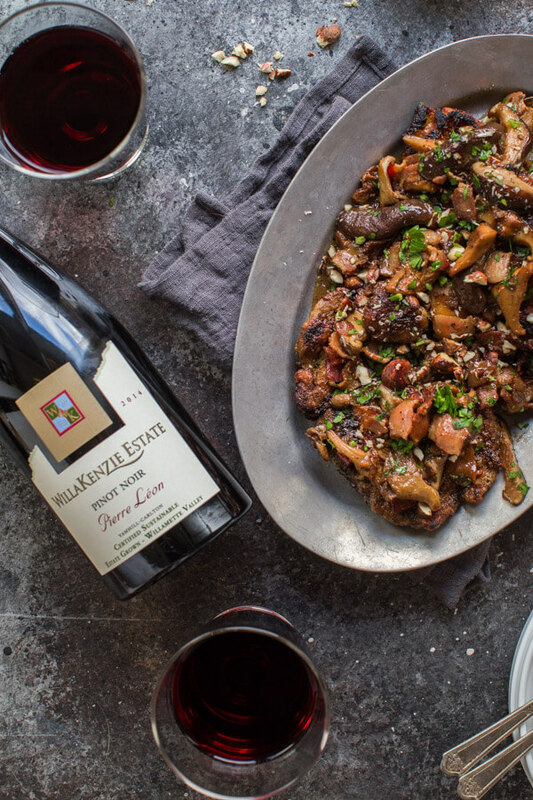 This Pierre Leon Pinot Noir from WillaKenzie Estate had just the flavor profile that I was looking for – It’s hint of earthiness was amazing with the wild mushrooms, but it’s backbone of dark fruits paired so well with that lightly sweet marsala wine sauce, and with a bright acidity, it was able to stand up nicely to the rich, bacon-flecked sauce. Cheers! Lower the heat to medium and add the bacon to the pan, saute for a couple minutes to render out some of the fat, then add the mushrooms to the pan. Saute until brown and liquid has evaporated. Season with salt and pepper. Add Marsala to the pan and boil for about 30 seconds, then add the chicken stock and let it reduce slightly, for about a minute. Stir in the butter and return the chicken to the pan. Season with salt and pepper, to taste and sprinkle with chopped hazelnuts and parsley. Serve immediately. If you loved this Easy Chicken Marsala recipe I would appreciate it so much if you would give this recipe a star review! Also, be sure to snap a picture of your finished dish and share it with me on Instagram using the hashtag #platingsandpairings and tagging me @platingsandpairings. I bet this is a real crowd pleaser! And more importantly a hostess pleaser, since if it only takes a half-hour to make, you can relax with your guests instead of stressing about dinner. Love the suggestion of serving this with buttered noodles. 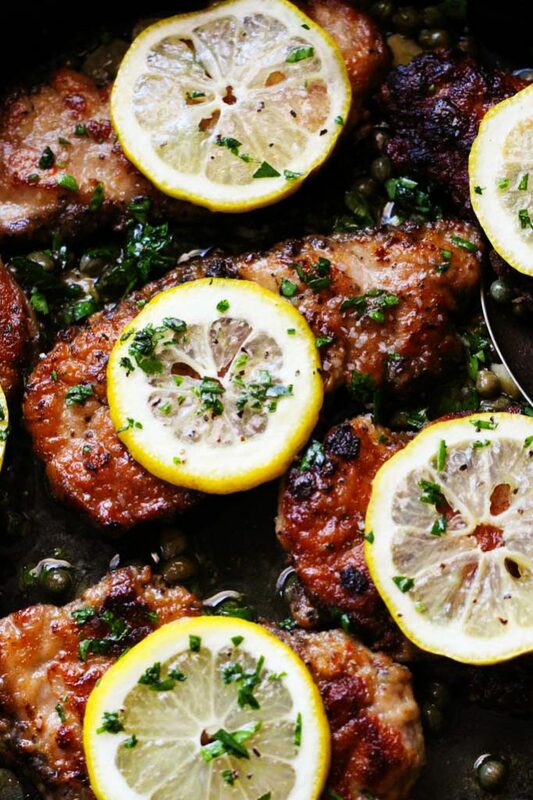 I wonder if chicken thighs could work, too, since they are a little cheaper and so tasty. 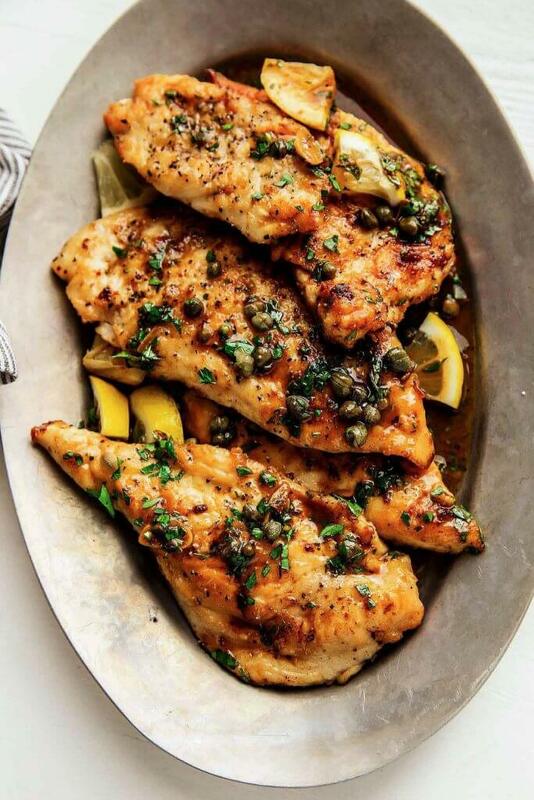 I love these chicken dishes with pan sauces. We LOVE chicken marsala in my house. Look at those gorgeous mushrooms! We make chicken marsala almost weekly! 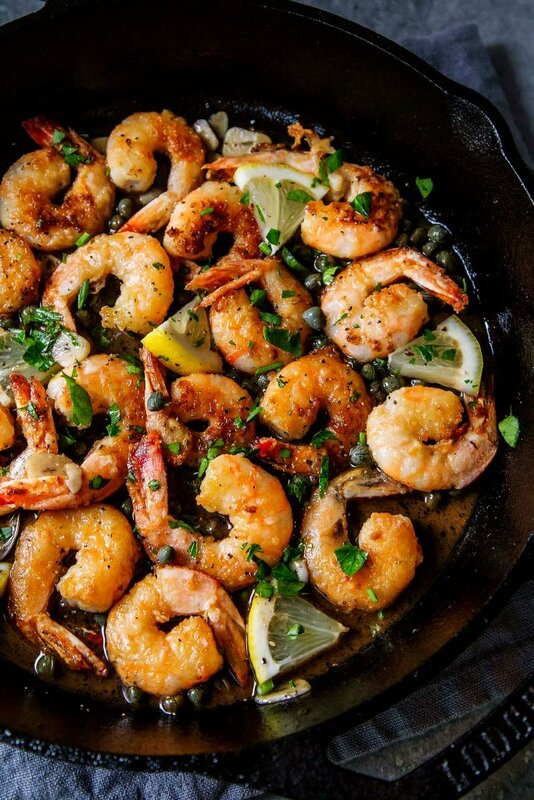 One of my faves 🙂 This recipe looks incredible! Thanks for sharing this great Recipe, I know my husband would love this dish. I love a good chicken marsala! It’s even better when it only takes 30 minutes! Right? I love a quick and easy dinner! Beautiful! Love the variety of mushrooms. Baked Goat Cheese Appetizer, Prosciutto, Brie & Honey Crostini or Dates Wrapped in Bacon with Marcona Almonds. I have made this twice and really like it. Bacon makes everything better, I think. Besides that, it is just easy to make and tastes great!